Caught between the limited resources and his family’s love for the meat, Rafiq Ahmad, a man in mid-forties, turned jubilant when one of biryani-selling kiosk owners in Lal Chowk informed him that he can get a kilogram of dressed chicken for Rs 840. The mere thought of taking a ready-to-cook chicken home led him to get the address and within minutes he was on his way to get cheap white meat. It turned the veterinarian suspicious. Then in his official capacity, he along with his committee, formed by Divisional Commissioner Kashmir visited the same supplier and got a few samples in March 2017. “Chickens were in fish boxes. I found hemorrhagic muscles,” he said. 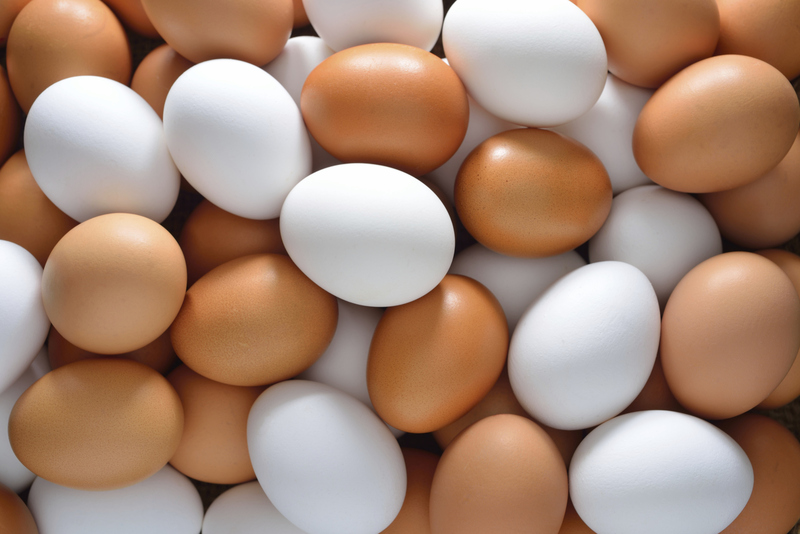 The lab reports of the samples showed the presence of Salmonella, the main cause of food poisoning, and it also tested positive for the malachite green test that means the chickens were not halaal, as per Islamic laws. They had not bled fully. Besides that, the tests also proved the bacterial count was very high. Before the government could initiate action, the stockists went to court and got a stay order. The supplier was getting the stock from a Seafood dealer in Delhi. “Since then there is again no check on the market of these chickens. Every restaurant and hotel wants to earn maximum at cheap costs,” rues Gilani. As the chicken evolved as a routine food item, Kashmir has emerged as a major market for all types of chicken suppliers. Data from the Animal and Sheep Husbandry Department suggested J&K consumed 740 lakh kilograms of poultry meat in 2016-17. It was 765 lakh kilograms in 2015-16 and 511.94 lakh kilograms in 2014-15. Assuming that a kilogram of poultry costs Rs 125 in the market, it means a yearly turnover of Rs 956.25 crore. Out of this, the state in 2016-17 produced 602.84 lakh kilograms locally, which, however, is slightly less if compared to 640.95 lakh kilograms in 2015-16 and 594.79 lakh kilograms in 2014-15. The data reveals that the state has greatly managed its poultry requirements locally: to the tune of 81.84 percent, leaving just a bit less than one-fifth for the outside producers. In 2016-17, J&K has imported 93.1 lakh broiler birds in addition to 22.9 crores culled poultry birds. The boilers imports have gone slightly higher in comparison while the culled poultry has fallen down slightly. In 2014-15, J&K imported 55.1 lakh broiler birds and 29.7 crores culled poultry. A year later, in 2015-16, the imports in poultry were at 64 lakh poultry birds and 30 crores culled poultry birds. It indicates the poultry is a major business. But veterinarians look at it differently. They say the market sells more broiler chickens that come to the state in form of either as a one-day-old chick or as a reared broiler chicken. The supply of backyard poultry is less as the supply is limited. In around 4,000 to 5,000 farms across Kashmir, they mostly rear one-day-old chicks that are imported from Indian plains. But the market has seen a surge in layered birds or spent hens, the hens that are used for laying of eggs and then discarded. “Once they complete their biological cycle, they are sold as dog food but Kashmir has emerged a huge market for this,” insiders in the market said. Another type culled parent chicken is also getting a huge market in Kashmir. Muhammad Shaban, a voracious meat eater, has changed his menu from mutton to parent chickens. Available in the market, the parent chicken has mostly replaced the hanging sheep parts in most of the mutton shops. But veterinarians see the parent chicken as a source of various diseases. Once these chickens complete their biological cycle of 18 months, they are not fit for human consumption. Insiders say a day old chic of parent stock means Rs 220, and once ready it costs you from Rs 3000 to 5000 per bird, including the investment of the bird, by way of feed, medicines, vaccination, space, maintenance of temp, everything because it lays 150 eggs, which means 150 birds. Same is the case with layer chicken, used just for the laying of eggs. Its lifespan is also 18 month only. A single layer lays up to 330 eggs a year. Once this lifespan is over, the farmers sell the stock. Ideally, this stock should go to rendering for some other industry, like feed manufacturing industry where they would be used as the protein supplement or bio fertilisers. Besides that, if a broiler dies it means a loss of Rs 100 to the farmer. 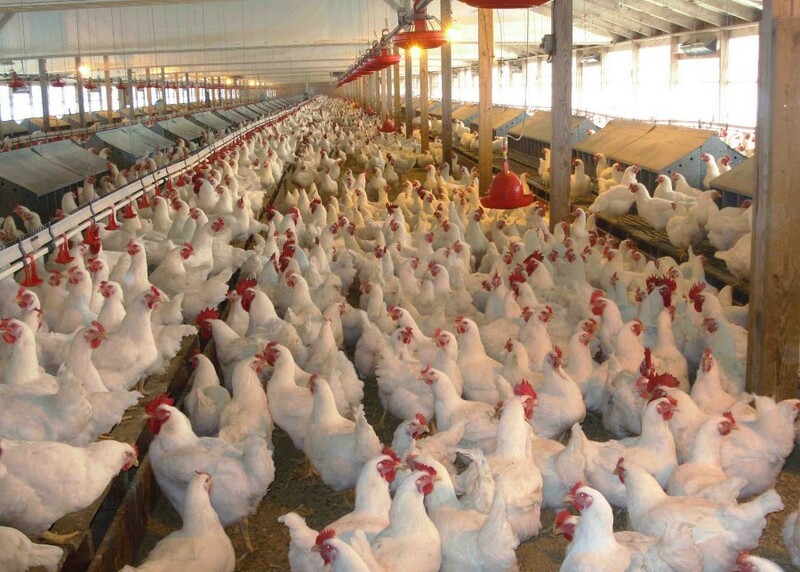 Broilers intrinsic capacity to grow is 1.5 kgs in 30 days by consuming 2.5 kgs of feed. Any medicine won’t impact it to attain the growth in less time. But veterinarians say for the layer chicken as well as the parent chickens, the farmers do use antibiotics because they can’t afford their death. Recently an advisory was issued by Drug and Food Control and the High Court intervened. “Supply the chicken in the market after three days of their withdrawal.” But every medicine has a different drug withdrawal time. “Advisory is irrational, some have withdrawal time of 30 days like in case of Levofloxacin. We can’t generalize it.,” one vet said. Kashmir lacks any layer chicken farm. All farms rare broilers. Raring practices are a major crisis. When 10,000 chickens are reared in a single hall, the infection gets across. There is lack of proper bio-security; adequate space management, and problems in bedding material, feeders and tickers inside the farms. Vets follow a set protocol in medication. Colistinsulphate, for instance, has a week-long drug withdrawal time and vets prescribe it if the chick is less than 25 days old. But farmers make their own experiments. A set of antibiotics for poultry is used as part of the feed. The mass consumption of the dressed chickens and layered birds has hugely affected the local poultry business in Kashmir. “Dressed chicken make 40 percent of the overall chicken consumption,” said Ghulam Qadir, a chicken farmer. These dressed chickens reach Kashmir in thermocol boxes along with fishes, which makes it unhygienic. “Fish boxes are used to avoid higher toll tax on chicken,” Market insiders say. Otherwise, they will have to import it in frozen form without ice.